After enjoying my layover in Tokyo, I headed back to Tokyo Haneda for my flight to San Francisco. I was flying on Japan Airlines in First Class on an American Airlines award ticket. 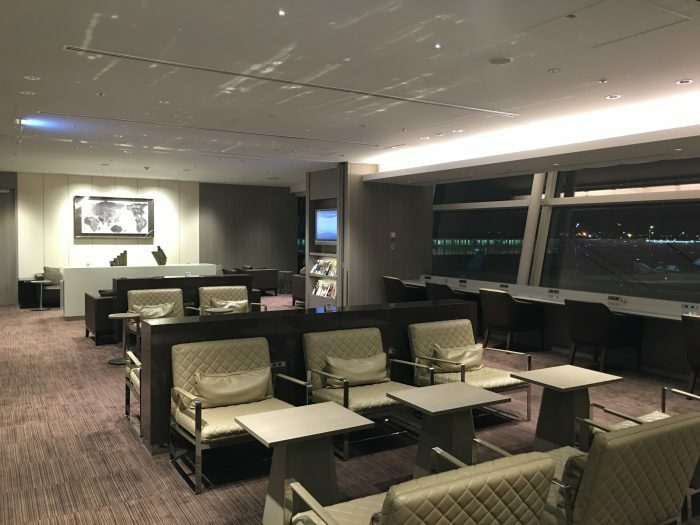 Thanks to being in first class, I had access to the JAL First Class Lounge Tokyo Haneda. 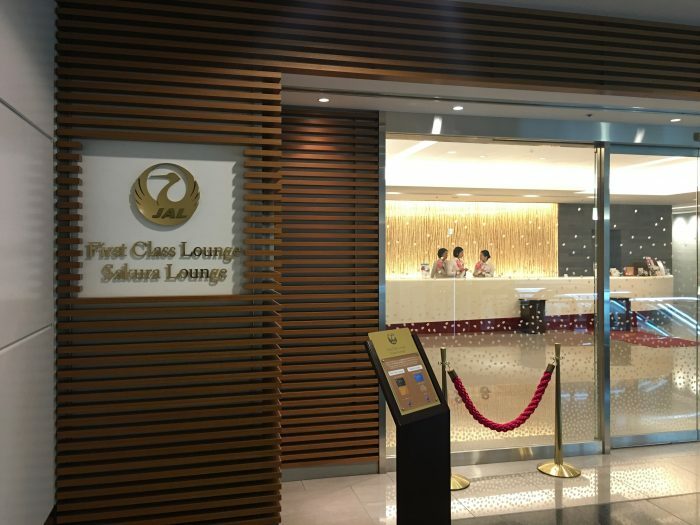 I checked in to my flight, and headed to the Sakura Lounge, which is on the 4th floor near the center security area. 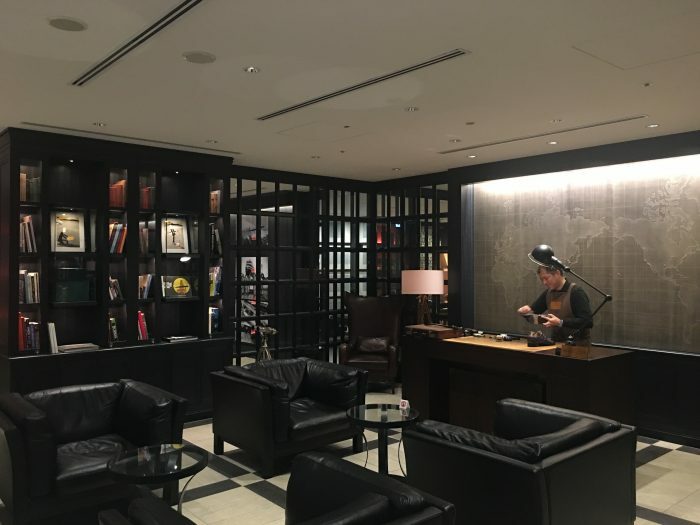 The JAL First Class Lounge Tokyo Haneda is a fantastic lounge. 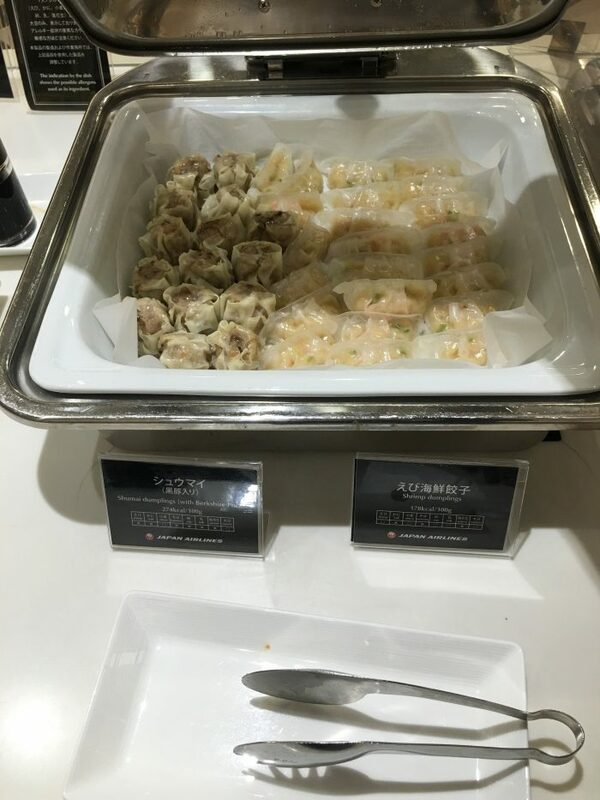 I had visited Japan Airlines’ similar first class lounge in Tokyo Narita, which I had enjoyed. 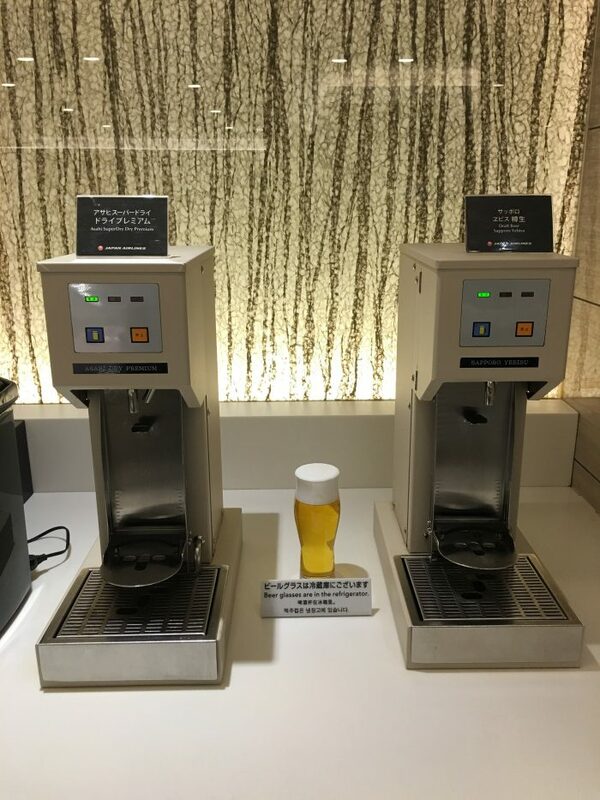 The Haneda lounge had some unique elements that made it stand out even more. 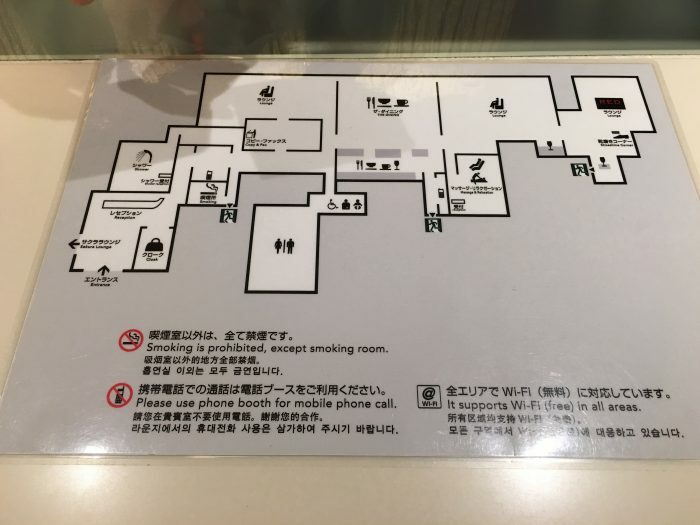 As you can see from this map, it’s quite a large lounge. The lounge is a clean design, with tons of space. It wasn’t crowded at all. It felt like I was in a luxury penthouse apartment. 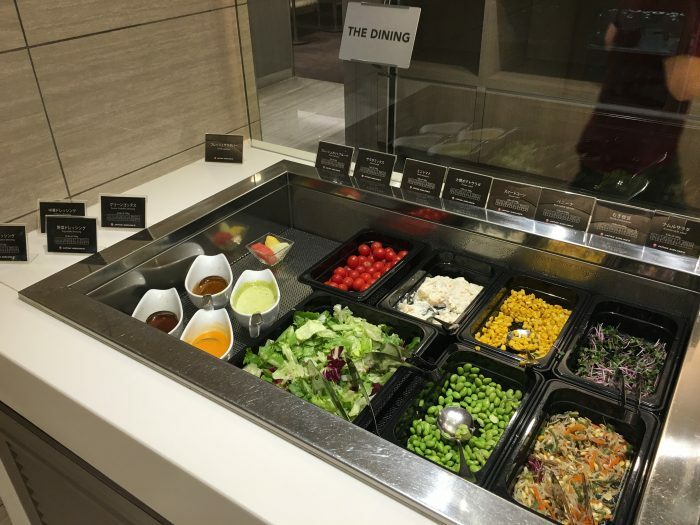 The food selection was great. 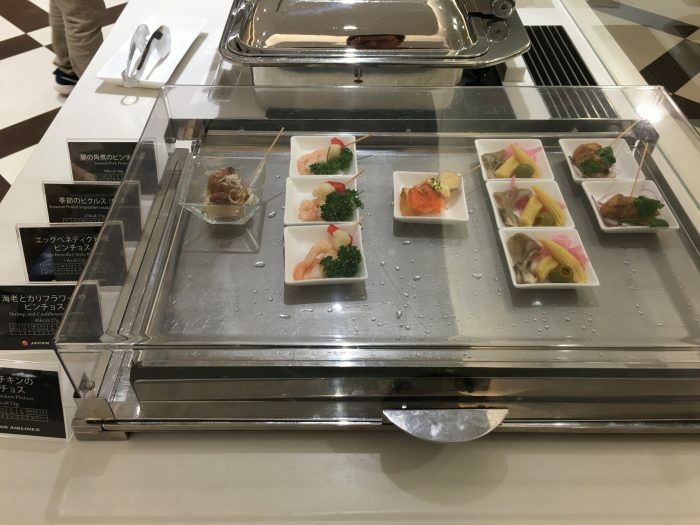 There was a wide variety of hot and cold Japanese & Western dishes. There was also a solid bar. They had my favorite whisky, Macallan, though I was a bit surprised that they didn’t have any Japanese whiskies, which are excellent. I had thought I had found some Yamazaki, but then I learned that it was actually a delicious plum liquor that had been aged in Yamazaki barrels. 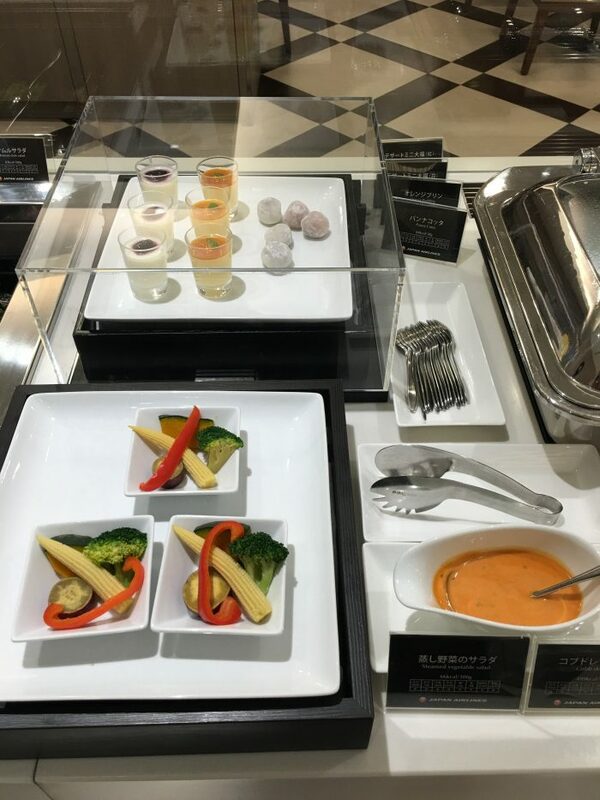 Figuring I would be eating well in the lounge & on my flight, I hadn’t eaten anything since lunch. 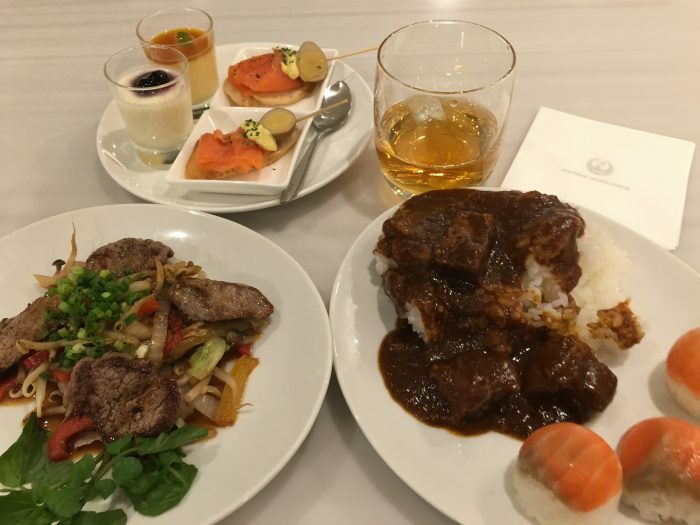 I had some beef curry & rice, plus some other appetizers. 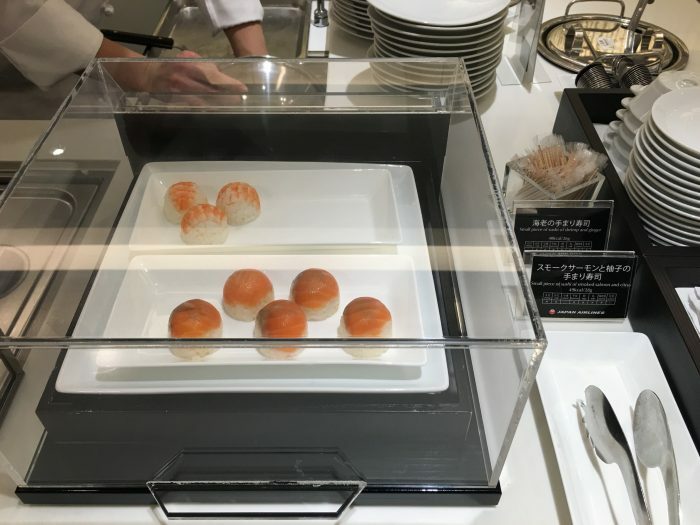 The JAL First Class Lounge Tokyo Haneda differs from the one in Narita in that it doesn’t have a sushi chef, though there is still sushi available. 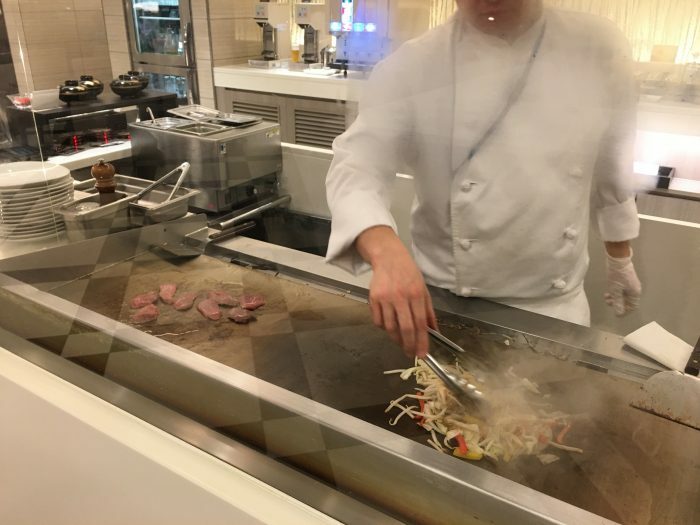 Instead, there is a chef who grills teppanyaki to order. 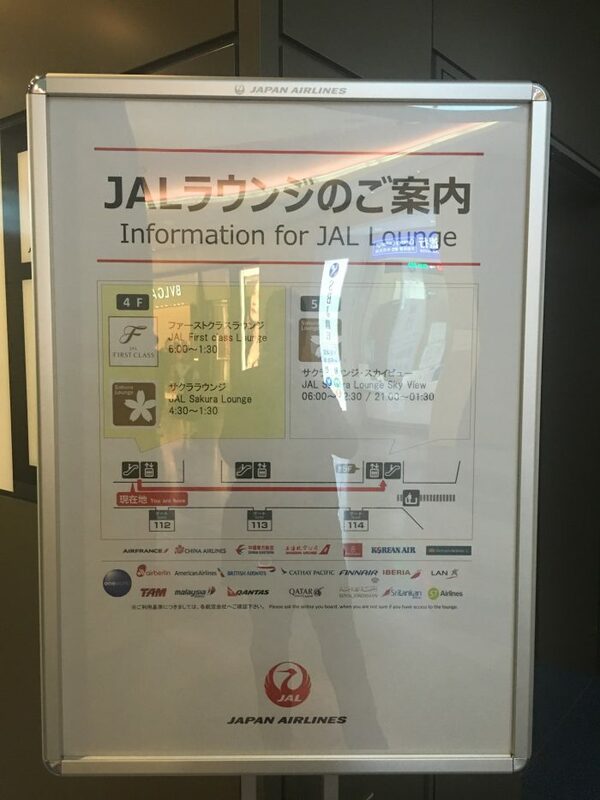 I like that they’ve differentiated the two lounges in this way. I loved everything about this lounge. 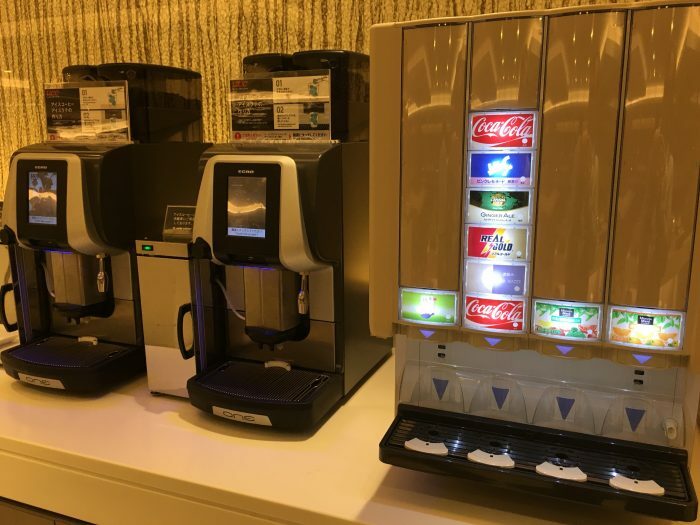 The food was great, of course, but so were the other amenities. Not only were there plenty of places to sit that weren’t busy, there were also several smaller rooms. It felt like being in a rich person’s house. 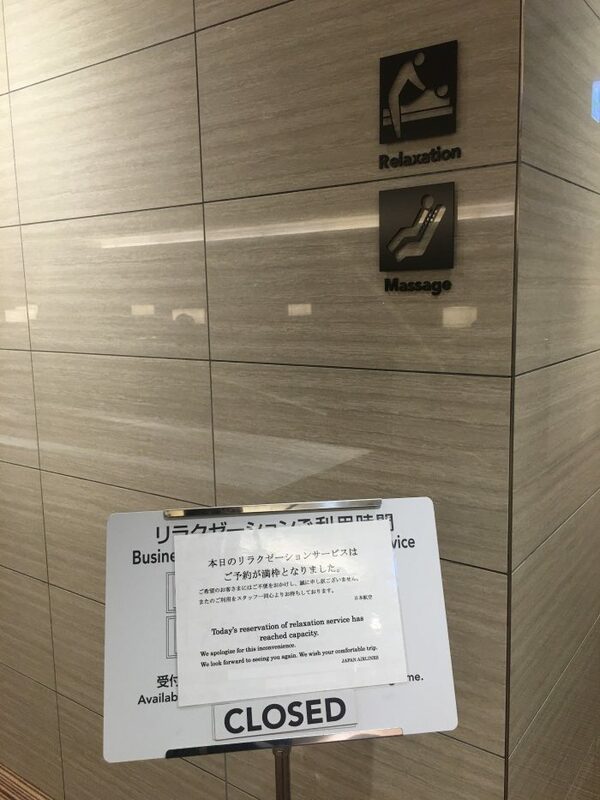 There is a massage room. Previously, they had people giving the massages, but in late 2017 they were replaced by more massage chairs. 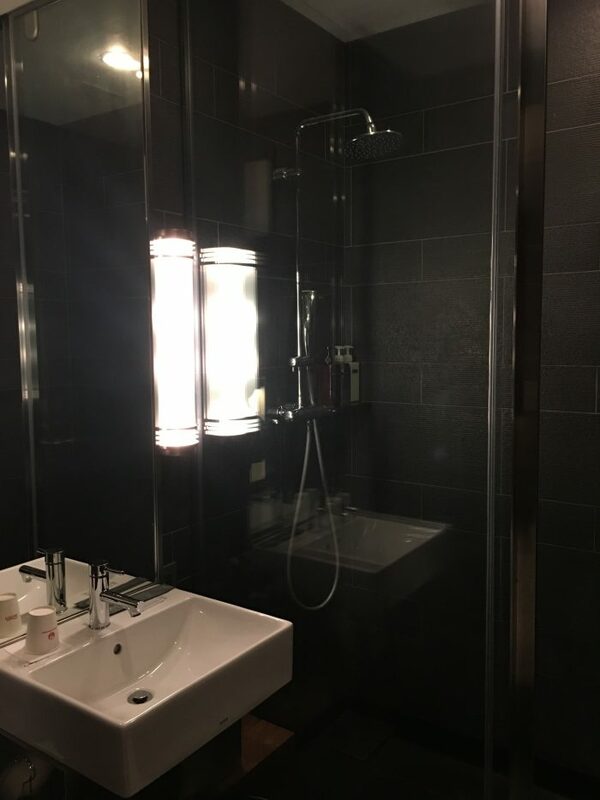 There were also showers & a business center available. 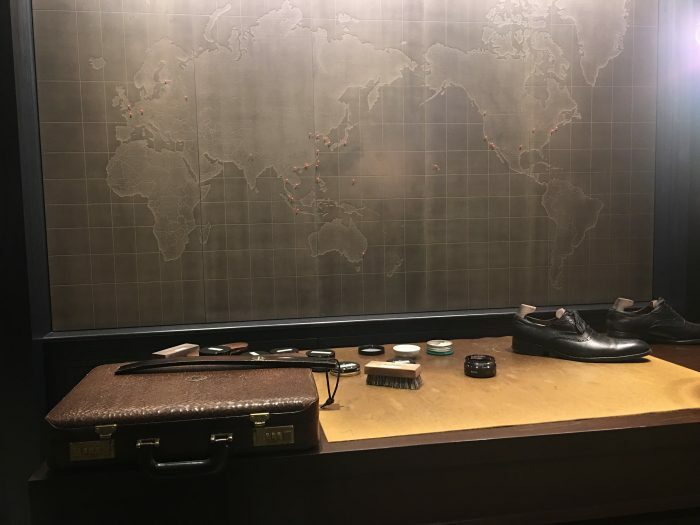 In the back, there is a library area called the Red Suite where there is also a shoe shine station. 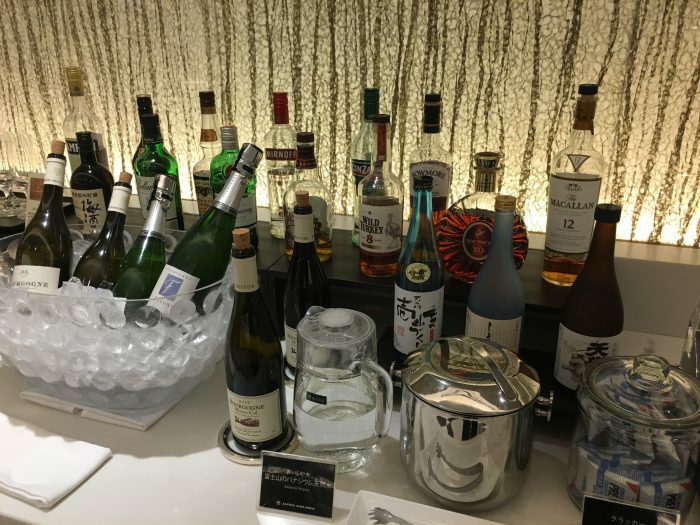 There was another bar as well, plus another area with a nice selection of champagne & sake. 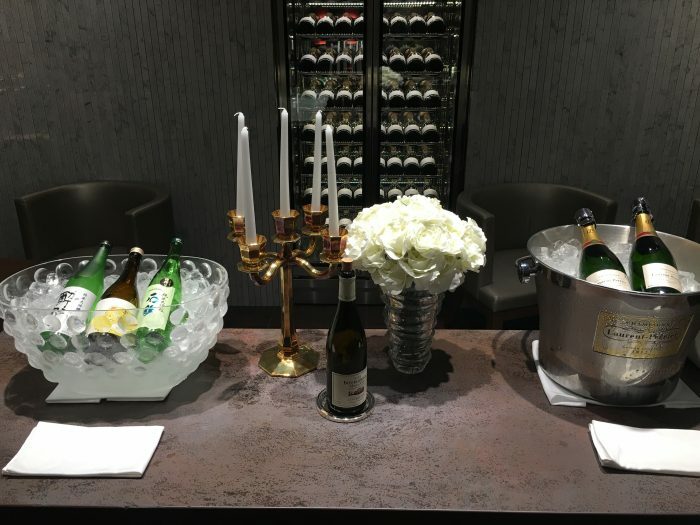 I tried a couple of different champagnes, plus some sake. Not knowing which one to get, I tried the one with the tiger on it. 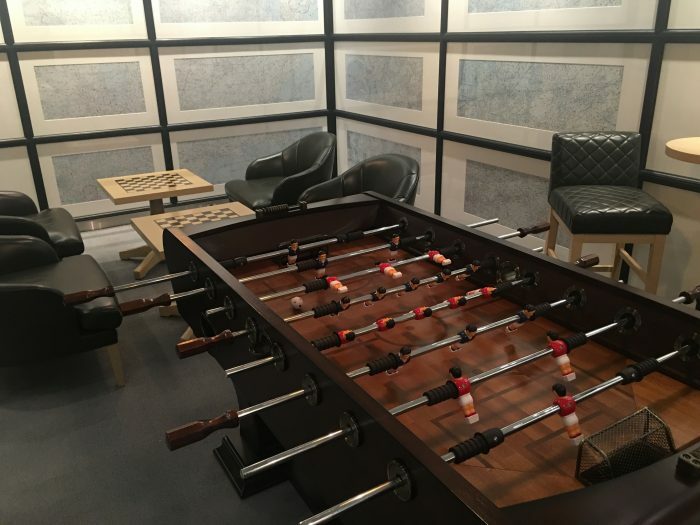 Even further back, there was a game room with foosball & chess. 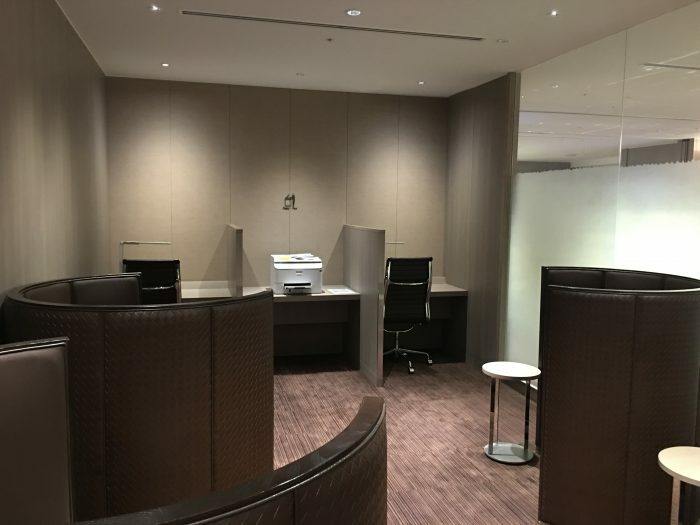 The JAL First Class Lounge Tokyo Haneda is everything an airline lounge should be. It’s such a pleasant place to relax before a flight that you almost won’t want to leave. 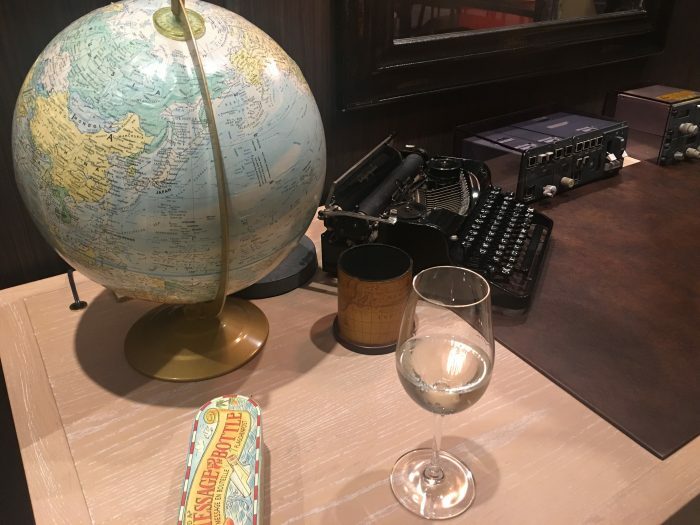 It just might be my favorite first class lounge that I have been to thanks to its excellent food, intimate, laid-back atmosphere, and excellent service.